To access this page, click Customers > Channel Customers > Manage Channel Payments. Find channel payments for a specific company. 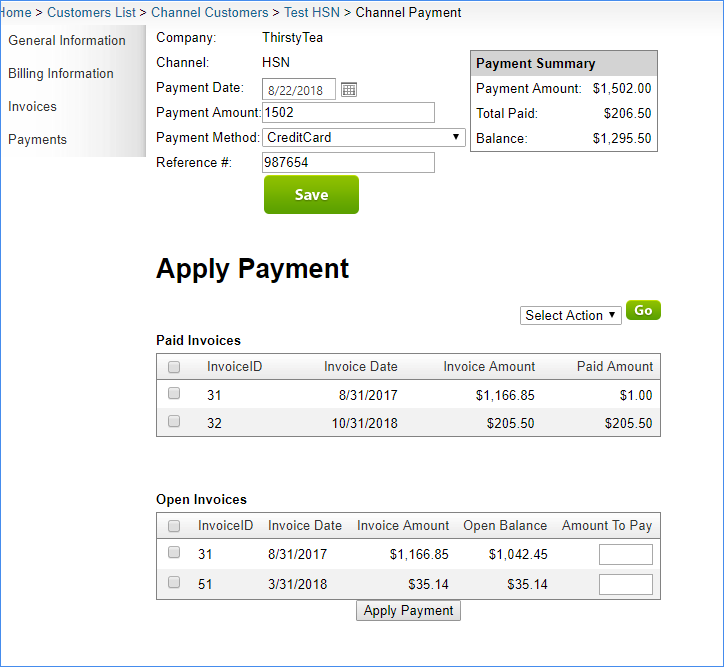 Find channel payments from a specific channel customer. Only channels that are enabled for the selected company will appear in this list; however, Local Store and Wholesale always appear for a selected company because you can have orders for those channels without enabling them in SellerCloud. Find channel payments by a specific range of dates when the payment was added to SellerCloud. Find channel payments by specific payment type. Find a single channel payment by its reference number (this is the optional reference to the payment method; for example, check number if paid by check, etc.). 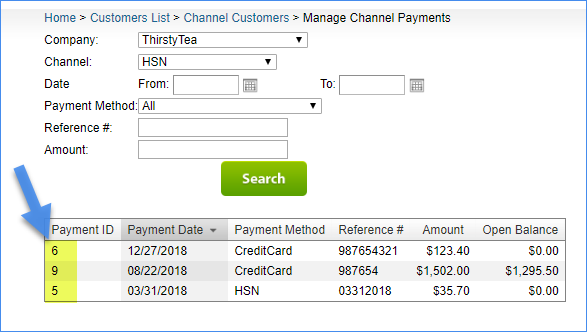 Find a channel payment by a specific payment amount. Auto-created number for the channel payment. Date the channel payment was added to SellerCloud. The channel payment's amount that is currently available to apply to open invoices.